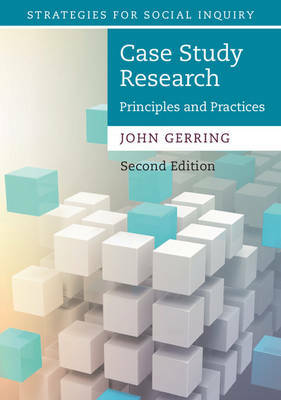 Case Study Research: Principles and Practices provides a general understanding of the case study method as well as specific tools for its successful implementation. These tools are applicable in a variety of fields including anthropology, business and management, communications, economics, education, medicine, political science, psychology, social work, and sociology. Topics include: a survey of case study approaches; a methodologically tractable definition of 'case study'; strategies for case selection, including random sampling and other algorithmic approaches; quantitative and qualitative modes of case study analysis; and problems of internal and external validity. The second edition of this core textbook is designed to be accessible to readers who are new to the subject and is thoroughly revised and updated, incorporating recent research, numerous up-to-date studies and comprehensive lecture slides.